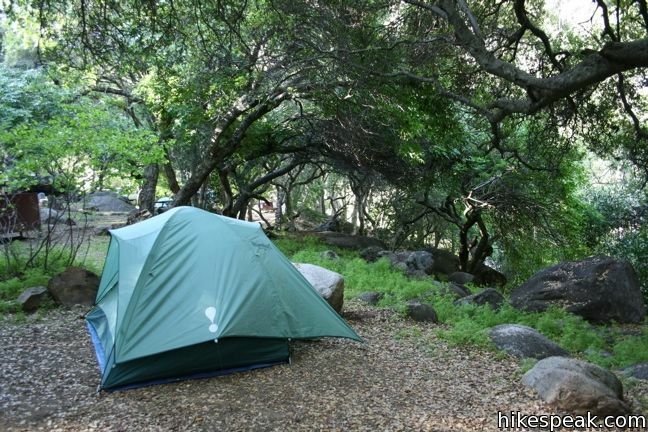 Sequoia National Park and Kings Canyon National Park are two large adjoining parks with many camping options. With so much to see, it is definitely worth spending multiple days in these two parks. The campgrounds are a great way to experience the parks after dark. 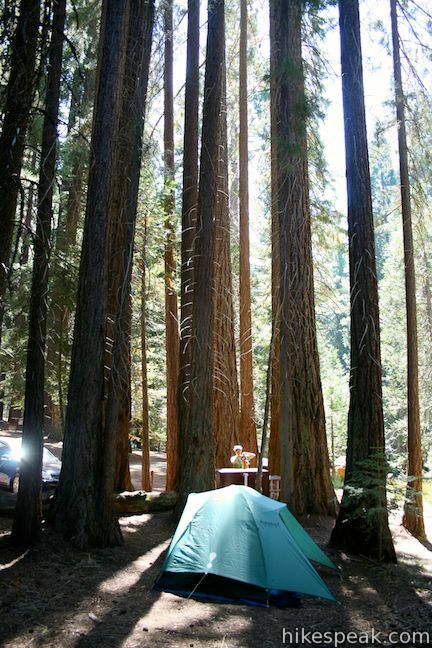 Located near the Giant Forest and Tokopah Falls, Lodgepole Campground is the largest campground in Sequoia National Park with 214 sites. Farther down the mountain south of the Giant Forest are two foothills campgrounds, Potwisha and Buckeye Flat. During cooler months, they are the best place to stay. 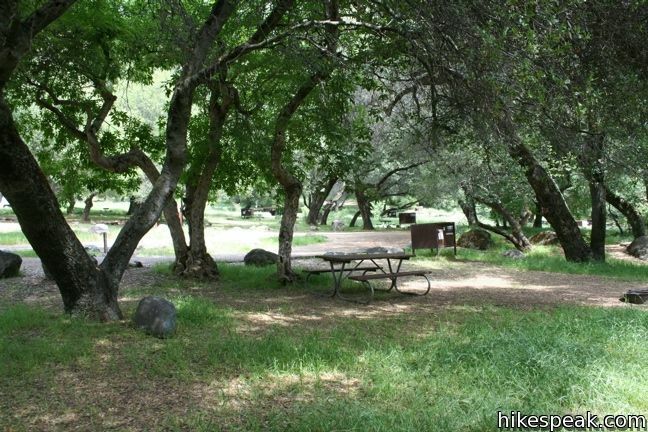 Even farther south, the remote Mineral King region has two campgrounds of its own, Atwell Mill and Cold Springs Campground. The national parks are bordered by Sequoia National Forest, and you can find additional camping in the Hume Lake Ranger District. For more information on all these campgrounds, visit the Sequoia and Kings Canyon National Parks Camping Page. These photos were taken in April and September of 2009. Click to enlarge. 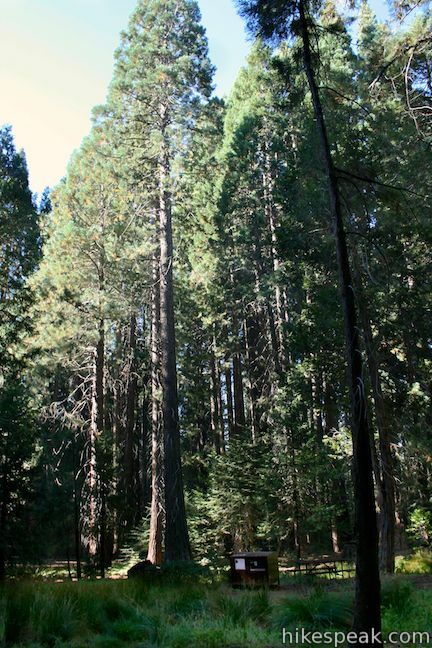 There are fourteen campgrounds in the Hume Lake Ranger District of Sequoia National Forest and Giant Forest National Monument, including the 74-site Hume Lake Campground. There are ten campgrounds in Giant Sequoia National Monument within the Western Divide Ranger District of Sequoia National Forest, including the 32-site Quaking Aspen Campground. 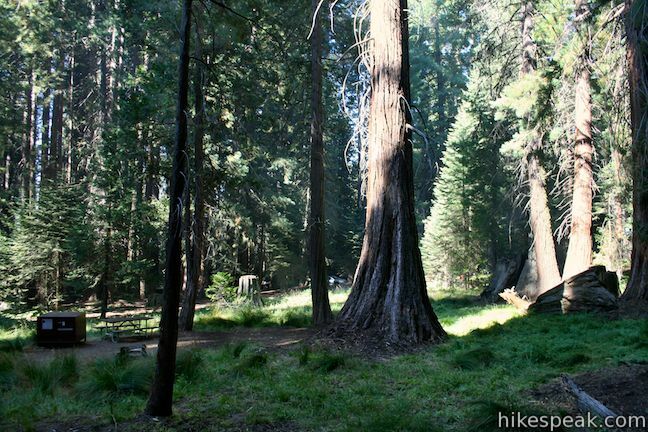 We are planning a camping trip to the Sequoia Nat’l Forest beginning July 6, 2012. What is the likelyhood of finding a first come first served spot on this particular weekend? We are tent camping and coming from Oregon. I would hate to drive all that way and not find a spot. I noticed that Princess Campground has a lot of availability. Is there a reason why? Should we steer clear of this campground? Arriving early on a Friday you can usually pick from your choice of first-come first-serve sites. The park may be mire crowded thanks to 4th of July, but you should be OK. Arrive as early as you can. I have not stayed at Dorst Creek. 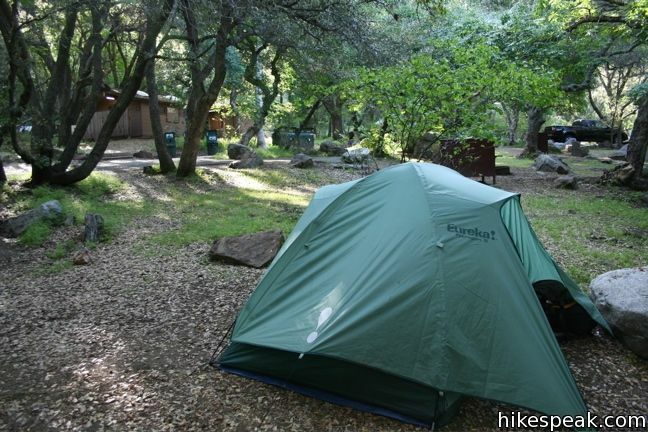 Potwisha and Buckeye Flat Campgrounds are the closest to Paradise Creek and Marble Falls. Good luck grabbing a campsite. Keep checking for online reservations in the weeks before your trip as someone may cancel their reservation. If Sequoia National Park fills up, you can also look at Giant Sequoia National Monument (farther to the south), stay at Quaking Aspen Campground, and visit the natural water slide. Im coming up for Easter vacation, 14th-17th. I need to know if Buckeye Flats will be open. If not when will it be opening? We are thinking of coming this weekend, May 16th and 17th. But it’s a five hour drive and we are wondering how early we’d need to arrive to get a campsite. Anywhere really. (Are there any that are bad?) What are the chances of us getting one with no reservations, as the sites that take the reservations are all booked. Thanks! Hello! 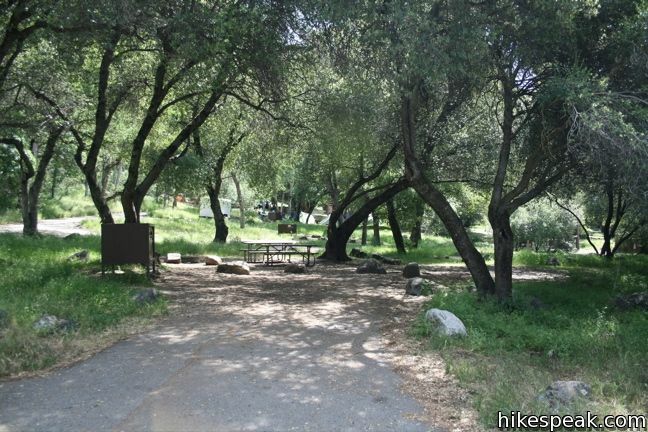 I’m planning on going camping at Sequoia in the summer. But I was wondering if you can help me find a perfect camping site. 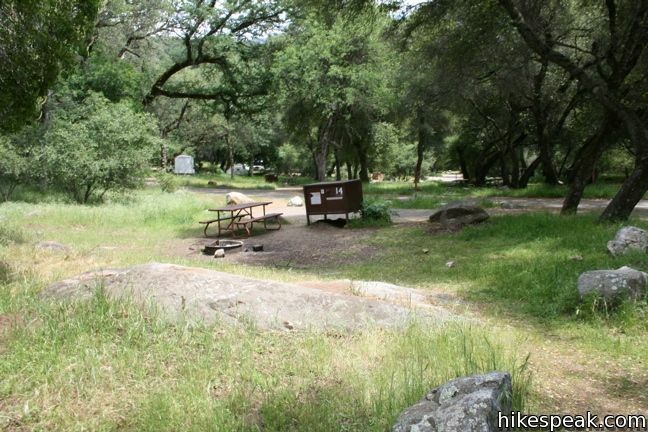 I want to be in a campground that’s in the wilderness, close to swimming areas, but not really close to others campsites, I don’t mind being in the same campsite but I don’t want to be in a campground where’s there like 40-100 campsites. And also wanted a campsite where the people are pretty spread out from your camping area. I don’t want them to be so close to our area. Can you give me some helpful suggestions of campgrounds? 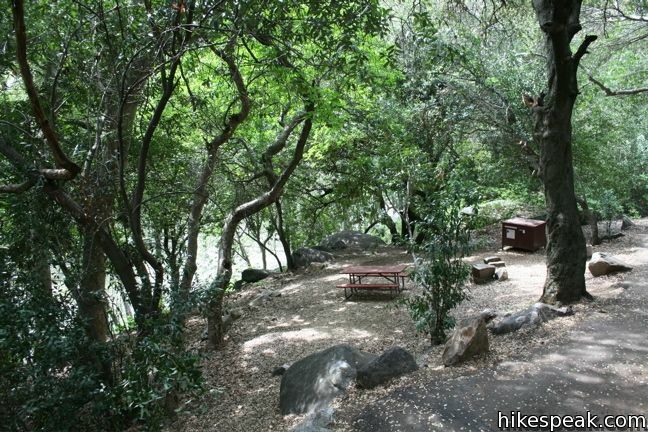 I am planning to camp at sequoia and King Canyon on Friday July 3 through July 5 2015 but I cannot make reservation on that weekend. For first come first serve what time should I be there to get a spot on any campsite with flush toilets? Thank you! 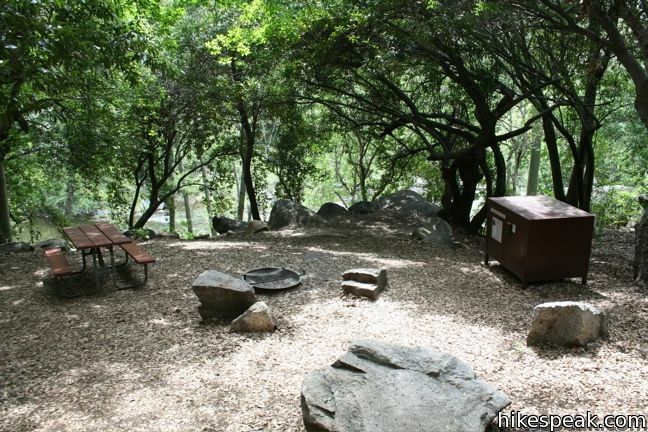 Plan to camp in King’s Canyon/Sequoia National Parks in May… roughly from the 9-11th. I read that most of the campgrounds are first come first served. For that time of year, would I have any trouble getting a good site if I arrive early in the day… and what would be considered “early?” Thanks!